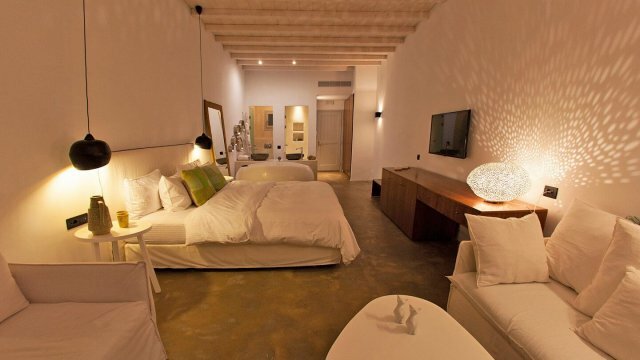 Mykonos Blu luxury hotel has been fully renovated. 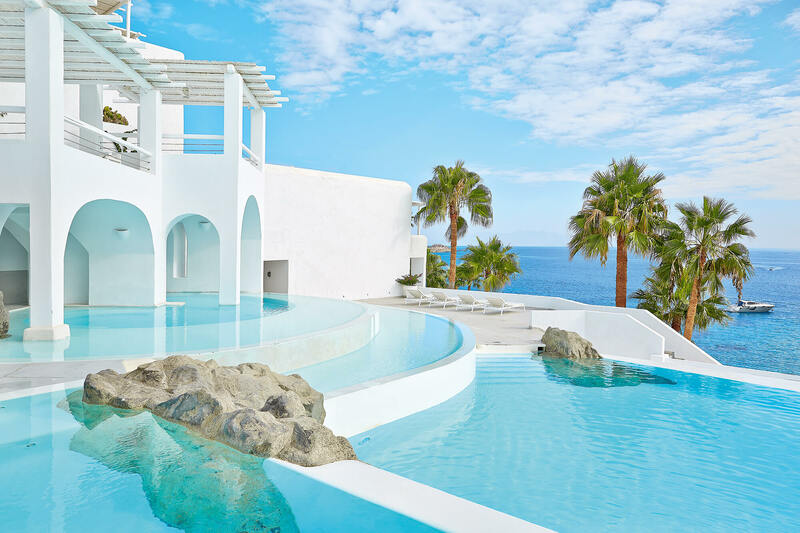 This dreamy hotel above the unbelievably astonishing beach of Psarou stands there for years and years hosting the most important people in the most important for them time of the year…vacation! 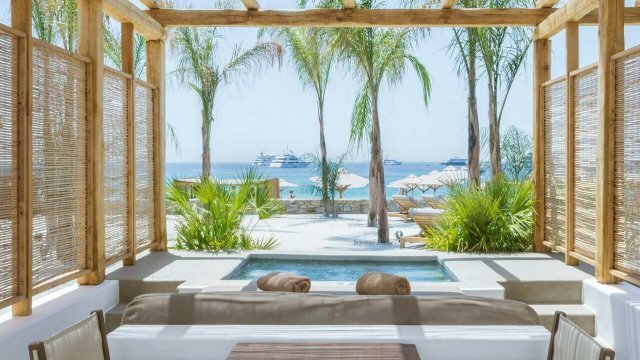 Renewed common spaces, new lounges, restaurants & bars, exclusive new suites with amazing view to the gulf of Psarou and nature around and aesthetics that give you the impression that you just entered a modern Mediterranean palace. 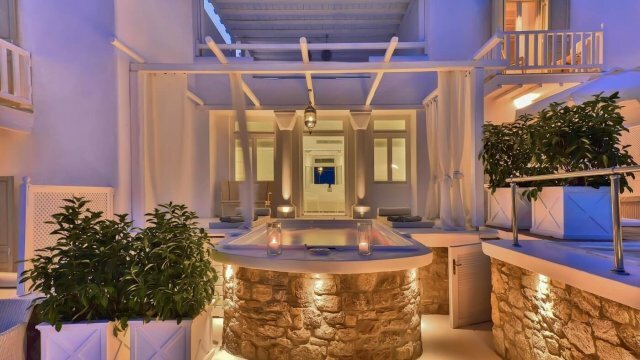 Surrender to the absolute glory of Mykonos Blu and feel with all of your five senses the hospitality of the team who know very well how to treat their guests. Leave your worries behind and spend some time for you, and you only, in the spa area where you shall dive into rejuvenating services and fine products. Allow yourself to be carried away by truly royal treatments made for kings and queens. 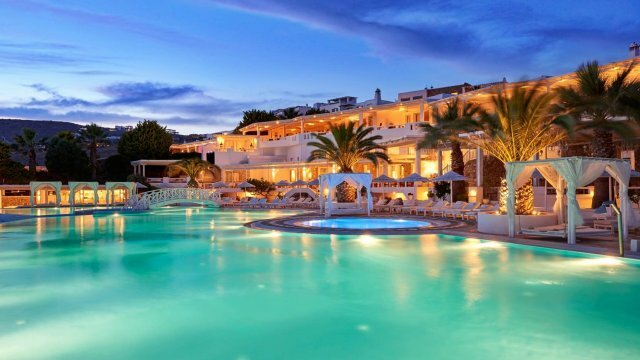 Unparalleled beauty and elegance in a hotel that highlights the authenticity of the whole area and unique beach with the emerald waters. You can choose to have dinner in one of the two restaurants or into your suite having a proper romantic dinner with candlelight under the night sky. 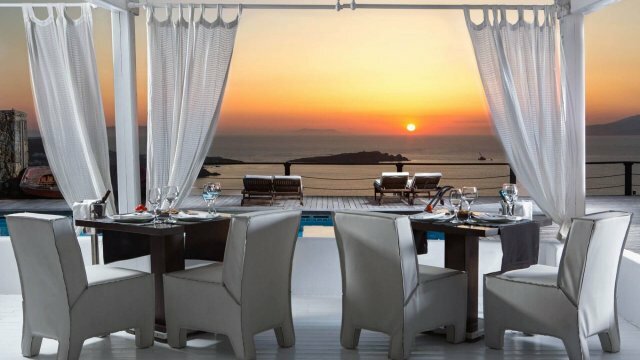 The exclusive Mykonos Blu hotel yachting services in Mykonos island is incomparable and includes compliment Mega Yacht touring in the Aegean waters by professional staff offering luxury accommodation and a different experience on board. 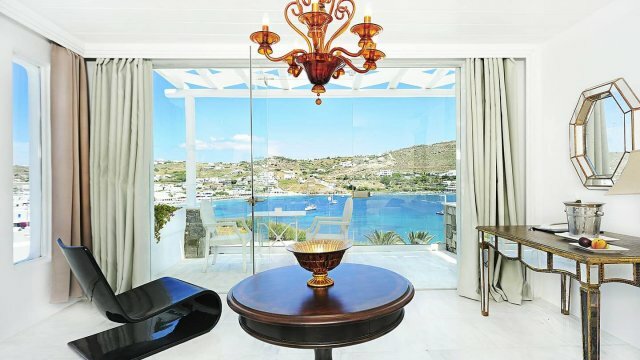 La Résidence Mykonos is located in the southest coast of the island, Kalafatis beach that has been also awarded a blue flag for its clearance of the waters!